Hare season begins in August and lasts through most of the autumn and winter, finishing around February each year. It's somewhat fitting, then, that hare meat works particularly well when braised, roasted or simmered into warming stews. For the best possible flavour buy hares that have been shot in the head, rather than the body – these won't have as strong an iron taste as bloodier hares might have – and eat the meat as fresh as possible. This collection of hare recipes contains both classic dishes and bold new ideas for cooking with this rich, gamey meat. 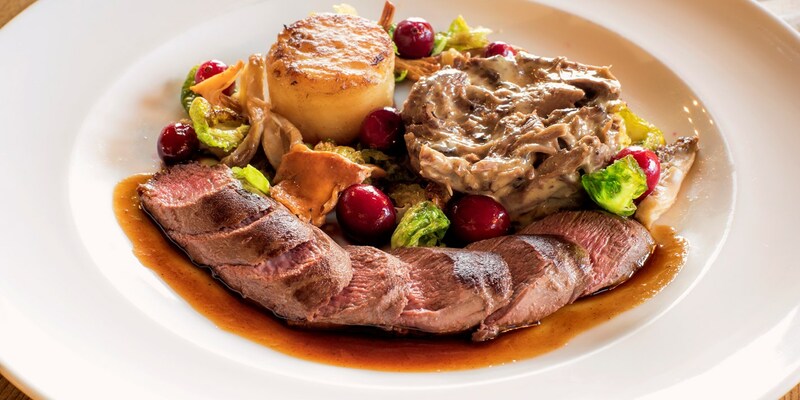 Celebrate the start of the season with a Classic jugged hare recipe, where hare meat is cooked in a heady sauce made from hare's blood and red wine, or try Mark Dodson's festive Flaked leg of hare with cranberries and sprout leaves as a wonderful alternative to Christmas dinner.